In our research, the majority of older adopted children struggle in some area of education regardless of their home country. Honestly, this finding was surprising. I assumed those children adopted from other countries would struggle due to the language and educational differences. And they do. However, we found kids adopted through foster care struggled as well. Many experienced a variety of moves and school changes. Since every school tailors their curriculum to their school (within state and federal requirements), kids may have missed concepts when they change schools. Perhaps one school introduces multiplication in second grade while another waits until third grade. If a child changes schools between these years, they miss out on vital teaching. In no way am I advocating that every school teach exactly the same curriculum at the same time, each school has its unique culture. They should have the freedom and flexibility to reflect their school’s community. However, changing schools can bring interruptions in learning for kids. Kids in care tend to have holes in their education. It may be in social studies, math, science, reading, or writing. Really, it can be in more areas than academics. My daughter had been home almost two years and in high school when I discovered she had never been taught the order of the months of the year. She knew the month names, but she never knew what order they came in. I assumed she knew since it was something often taught in preschool or kindergarten, but she had never been exposed to it before. Often kids in care “slip through the cracks.” Perhaps the child never had appropriate educational support at home and entered care at an older age. Maybe the child was not at one school long enough (or often enough) for teachers to discover a learning disability. Consequently, the child can go years without diagnosis and intervention causing further educational delays. Difficulty or lack of understanding can often lead to lack of interest in learning. Some kids refuse to learn because they are embarrassed they do not understand. No one likes to feel dumb and sometimes a refusal has more to do with feeling inadequate than being unwilling. How can parents help their kids? Ask yourself if this is “can’t” or “won’t”. Sometimes it is hard to differentiate between (and do not be surprised if it is a little of both). Assuming “can’t” will help you have more understanding and patience for your child. Then remind yourself often that they cannot. Talk with their teachers. Ask if they suspect learning challenges. Ask what areas where they believe your child needs the most help. Select a place to begin. Do not try to address everything at once. It will simply overwhelm you and your child which can lead to more frustration for everyone. Encourage your child. They are probably as frustrated with their educational experience as you are. If they put forth the best effort they can do right now, celebrate that. Tell them you notice they are trying. Acknowledge the extra time they spent studying whether the grade reflects it or not. Encourage even small progress. Breathe deep. Probably the best advice shared with me was from a mom who had adopted several older children. 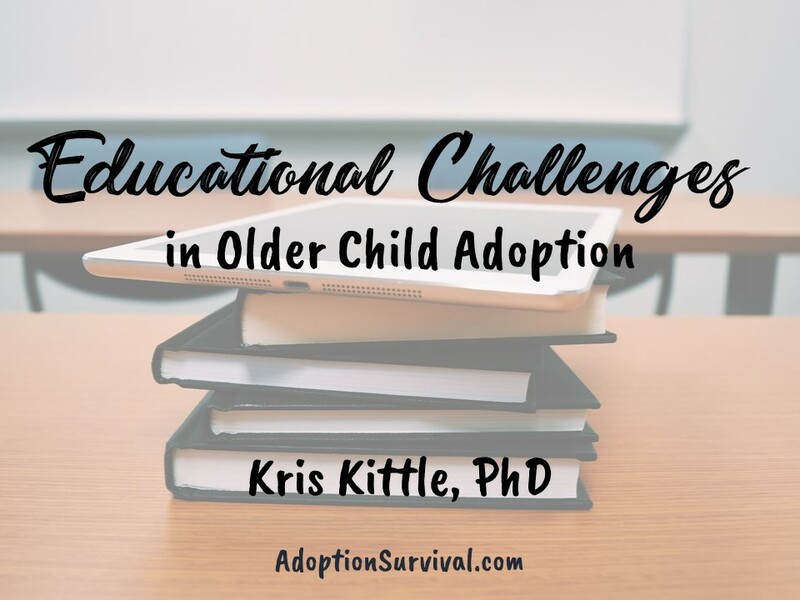 She learned early on in older child adoption to repeat: “my child’s behavior is not a reflection of me.” When we do not take on our child’s behavior as ours, we do not respond in embarrassment and frustration. We can want the very best for our kids, but they still have to do their part. And sometimes we need to adjust our expectations for ourselves and our kids. Staying calm is key to helping our kids push through educational challenges to find a solution.